Coming into the 2018 NFL draft, the Green Bay Packers had recently undergone a change in their franchise hierarchy not commonly experienced, the changing of the guard at general manager. Franchise leader Ted Thompson, who many fans had called for his removal for many years, finally moved on and pushed into a senior front office scouting role, still integrating him in the football process but not as a general manager. Stepping into his role was a relatively unknown in Brian Gutekunst, who caught many fans off-guard by his hire. Thinking the job was for Russ Ball or Elliot Wolf, Gutekunst’s name was thrown into the ring after being a part of the braintrust that helped Thompson. Ball, the financial guru responsible for contract negotiations and salary cap management, and Wolf, who was the young up-and-coming front office leader who had it in his blood, were both thought to be the clubhouse leaders. Much to the surprise of fans, both the favorites were passed over in favor of ‘Gute,’ and that decision has seemingly worked out in the team’s favor up to this point. His success was demonstrated early on, as he handled the drafting process like a seasoned veteran front office member. 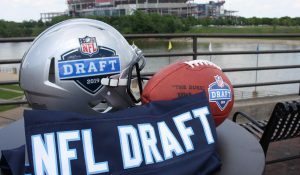 At the time, Green Bay held the 14th overall selection in the first round. While the exact player that Gutekunst wanted was never released, he felt compelled to accept the offer presented to him by the New Orleans Saints and move down. In the deal that the Packers absolutely won, as the Saints moved up to grab UTSA defensive end Marcus Davenport, who only produced 4.5 sacks this past season, not good enough numbers for as much capital as the Saints gave up. In return, Green Bay received the 27th overall selection in the first round, as well as the no. 147 overall in last year’s draft. In addition, they also shipped their 2019 first round selection to the Packers, an absolute ransom to move up 13 spots. At that point, it looked like Green Bay had won the draft simply by recouping an extra first-round selection by moving down, but they were not done yet. 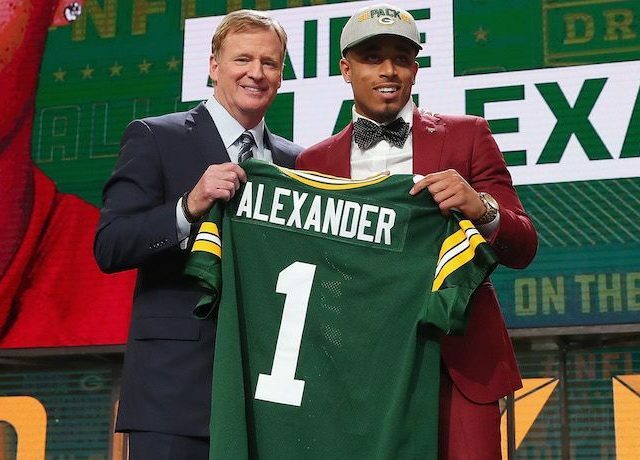 Seeing an opportunity to move back up and recover some lost value by moving down, the team made a deal with Seattle, moving from 27th to 18th in the first round to select cornerback Jaire Alexander. In the deal, Green Bay received the 18th and 248th (seventh-round) selection, and sent no. 27, 76 (third-round) and 186 (sixth-round) back to the Seahawks to complete the deal. 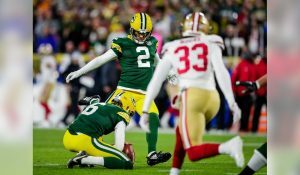 Even though the Packers did not necessarily hit on the other received selections, by drafting Alexander in the first, corner Josh Jackson in the second and receiving an extra first that resulted in the 30th-overall selection in April. Coming into the draft, Gutekunst had to make a name for himself fast, as the franchise has been clamoring for a new name to lead the team. By replacing Thompson, Gute has pressured put on him, due to the fans having wanted someone to push Thompson out for a while. The draft was what helped earn Gute more respect from the fanbase, as they can understand what he is willing to do to make sure this roster gets shaped up to what caliber it needs to be on. With two consecutive seasons of missing the playoffs, fans are growing antsy for progress to be made, and the 2019 draft will be just as important if not more for the team’s future as well as Gute’s track record. If Green Bay can nail the drafting process a bit more than they have in the past few years, then that would put the franchise back on the right track and stop wasting Aaron Rodgers prime years. Defense should be the focal area of emphasis in this year’s draft, as both 12 and 30 offer great spots to help improve the edge rusher and safety positions. With new head coach Matt LaFleur from an offensive background, offensive line and receiver should also be addressed to help match up personnel with schemes. When he came into the fold, Gutekunst was not necessarily thought of as the piece that would help the franchise turn the corner. But after a few shrewd drafting and personnel moves, he has helped Green Bay get back on the cusp of contending again, something that can be accelerated if the 2019 draft is on point. This entry was posted in Mike Johrendt, Packers 2018-2019 Season, Uncategorized and tagged Aaron Rodgers, Brian Gutekunst, Green Bay Packers, Jaire Alexander, Marcus Davenport, New Orleans Saints, seattle seahawks. Bookmark the permalink.